The first cruise ship operated by Asian-based Dream Cruises is sailing its maiden voyage to Japan. Genting Dream which is the first ship for the cruise line made its inaugural voyage to Okinawa, Japan. The ship departed its dual homeports in Hong Kong and Nansha on 2 April with over 4,000 people onboard. The itinerary included calls in Naha on 4 April, then Miyakojima on the following day before setting off to Japan. To celebrate the inaugural cruise, a special ceremony was held on board the ship attended by Japanese dignitaries, executives of Genting Hong Kong, as well as local media. Guests have also been in on the action with special activities and shows based on Okinawa. On 5 April, Genting Dream arrived at Miyakojima, one of most remote islands in Okinawa, renowned for its spectacular “50 shades of Miyako Blue”. The ship was welcomed at the pier by Japanese dignitaries. Sun – Hong Kong*/ Guangzhou（Nansha), Mon – High Seas, Tue – Naha, Wed – Miyakojima, Thu – High Seas, Fri – Guangzhou / Hong Kong. 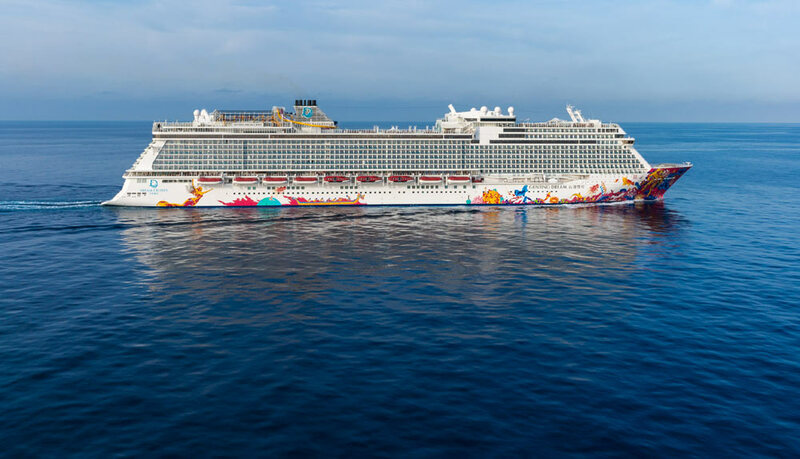 Guests who cruise with Genting Dream this summer will also have the opportunity to discover a whole new underwater world in two state-of-the-art submersibles on board Genting Dream. Designed to carry one pilot and four guests, passengers can explore the spectacular sights under the Okinawan waters and marvel at the dazzling array of marine life and seascapes. Genting Dream is a 151,000 gross ton vessel which entered service for Dream Cruises in 2016. A second ship in the same class named World Dream is coming towards the end of 2017.